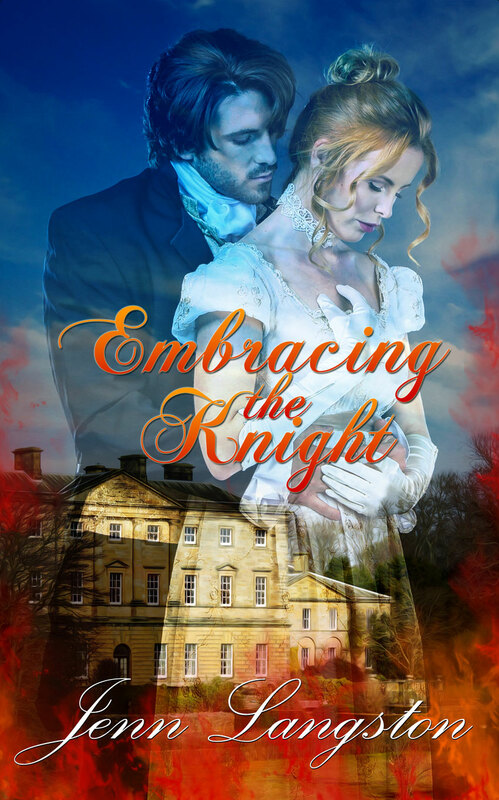 EMBRACING THE KNIGHT by Jenn Langston! 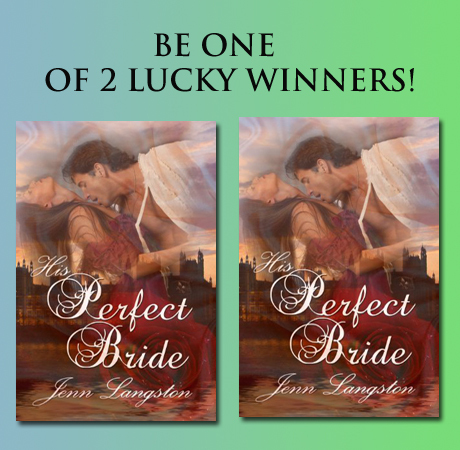 This witty, charming historical romance is sure to capture your heart. Silence filled the space between them as they finished their fruit. She moved her aching legs, although making sure to keep them covered by her skirt. This trek was exhausting, and she wasn’t sure how much more she could take. “How much longer do you suspect before we reach London?” She rubbed her aching neck thinking about how nice it would be to sleep in a bed. The cocky grin he shot her made her smile as she shook her head. Ian’s charm seemed to come as natural to him as breathing. Her lips tightened as the merriment wore away. She’d never seen a woman who wasn’t susceptible to him. The idea of dancing with Ian, here, in the middle of the forest did strange things to her stomach. It seemed too intimate. Considering their current circumstances, and their sleeping arrangements, they didn’t need any more intimacy between them. Refusing to be baited, she narrowed her eyes as she gently wrapped the pears back up. His long sigh betrayed his disappointment. He took the bag from her and began their trek. Narrowing her eyes on his back, she tried to figure him out. Considering what they were facing at the moment, she couldn’t understand his mood. Why did he work so hard to keep her entertained? “Charming me,” she explained, unable to keep the exasperation out of her voice. As if to emphasize her words, she took off, walking past him in the direction he’d been taking. The constant walking, the heat, and his positive attitude were weighing her down. His warm fingers on her arm stopped her, and allowed him to turn her to face him. Gone was the playfulness he usually sported. His eyes were dark, his expression serious. She sucked in her breath, unable to take his intensity. She swallowed repeatedly, trying to dislodge the lump in her throat. Telling him the truth was impossible, for she never wanted him to know. The very thought of that day brought a flush to her cheeks. However, she couldn’t stand the pain in his eyes. “I don’t hate you,” she replied, knowing it to be the truth. No matter how hard she had tried, she couldn’t bring her heart to truly dislike him. His gaze dropped to her mouth, and her lips parted. Would he kiss her now? She always imagined her first kiss would be with Ian. Desperate to experience the feel of his lips on hers, she leaned forward. The sound of a bird crowing in a nearby tree startled her enough to clear the fog from her thoughts. She snapped back from him. Taking a deep breath, she turned away, knowing he didn’t want to kiss her, specifically. She was simply the only available woman present. “Claire.” His voice was barely above a whisper. She felt his hands on her shoulders, but she shrugged him off. Right now, she couldn’t face him. If she did, she’d be too tempted to allow him to use her as he’d done to so many other women. “Of course,” he agreed, regret echoing in his voice. As he moved in front of her to lead the way, guilt swamped her. The feeling she’d made a huge mistake overwhelmed her. But, that couldn’t be true. No good would come from kissing Ian. So why couldn’t she shake the feeling? Why did depression have to settle on her shoulders? Join the Embracing the Knight giveaway contest from Oct 12 - 14, 2016! Embracing the Knight is now available. Grab your copy today!